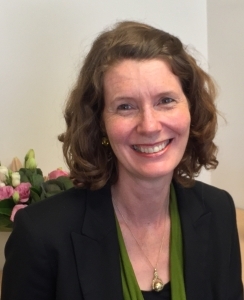 This month we spent five minutes with network member Dr Felicity Gallimore. Felicity is an obstetrician and Fellow in Clinical Informatics, University of Sydney. The life of an obstetrician is always unpredictable. There is no such thing as a typical day. It can include an early start to welcome a baby into the world followed by (a coffee on the run) and a trip across to the University of Sydney and the Centre for Translational Data Science. Here we review health data projects in progress, applications for new health data initiatives and brainstorm ideas for future projects. I try to bring a clinician’s view to the table and am constantly impressed and thankful for the technical expertise and innovation of my data scientist and eHealth colleagues (who are ever willing to patiently explain the intricacies of the data world to me in words I can actually understand). The afternoon may involve a trip back to hospital for antenatal patient appointments and finish with reviewing emails detailing the outcome of the latest applications for project funding or Ethics approval before the next phone call to return the hospital. Life if never dull and certainly not quiet! What does digital health mean to you and your work? In Australia, we are fortunate to have excellent maternal and neonatal outcomes. However, we could still do better and there are certain population groups and health circumstances where linked detailed clinical information could pinpoint areas to improve and suggest ways to do this. I am excited to see the changes that could be brought about in the world of obstetrics let alone across medicine in general. Health information that is currently buried in paper files can now be analysed in short time frames and provide near-instant feedback. We can find out what is happening in the health system right now and what can be changed for the better. Have you come across any surprise or challenges along the way? As a doctor, I have been used to reacting to clinical situations and achieving results in a short time frame. I have found the albeit necessary process of gathering Ethics approval and ticking the appropriate governance boxes extremely lengthy and frustrating. At the moment protocols have not been set up to cross hospital and LHD boundaries. Confidence has to be gained over time to demonstrate that data can be extracted, stored and shared with all the appropriate levels of safety/confidentiality that patients have the right to expect. Again as a clinician, I think I want to have the perfect solution with all the information at my fingertips straight away and I want it to be super easy to use and not ‘waste’ any important clinical time that I should be spending with my patients. However, I am learning that, as in all things, there is a learning curve. What is being developed at the moment may not be perfect but only by constantly trying to improve our capabilities, can we hope to move forward. I thing we are unlikely to achieve the perfect data collection/analytics from the eMR straight away and I’m sure there will be criticism (probably from clinicians such as myself!) that important fields of information have been left out or not collated correctly but if we start with some specific clinical aims in mind, we then have the ability to learn from experience and improve with time. Trying to achieve the perfect result for everything from time zero risks never starting at all. What do you think will enable digital health projects and innovations to succeed? Two things: firstly, as confidence and trust is built up following successful projects and as expertise continues to grow, research projects can extend across large populations of patients without being encumbered with almost insurmountable governance issues surrounding data sharing across jurisdictions. Secondly, data quality and selectivity of extraction. Through staff education and change management, the data quality and completeness can be improved. We also need to learn to be selective in what we extract to avoid being overwhelmed and smothering progress. What advice would you have for someone with an interest in digital health? This is an area that is growing rapidly. It is a multi-disciplinary domain and needs clinicians, researchers and scientists across healthcare, engineering and public health. The possibilities are endless and it is through collaboration that forward progress will be made. Networking through groups such as the DHIN will allow these important relationships to develop and provide opportunity to be involved in projects as they evolve. Do you have any useful resources or networks people should know about? A big thank you to Dr Felicity Gallimore. Felicity is an obstetrician and a Fellow in Clinical Informatics at The University of Sydney.